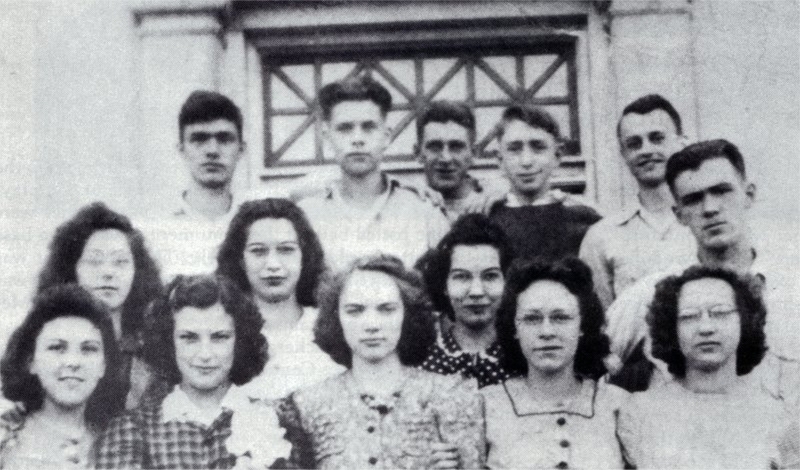 1st row: Dorothy White, Kathleen Matthews, Evelyn McCollum, Blanche Gardner, Marvis Towne. 2nd row: Marion Gotham, Marilyn Lindsley, Marion Congdon. 3rd row: Merrill Premo, Charles Whitmarsh, Everett Thompson, Salem Towne, Clarence Tupper, Durwood Thompson.